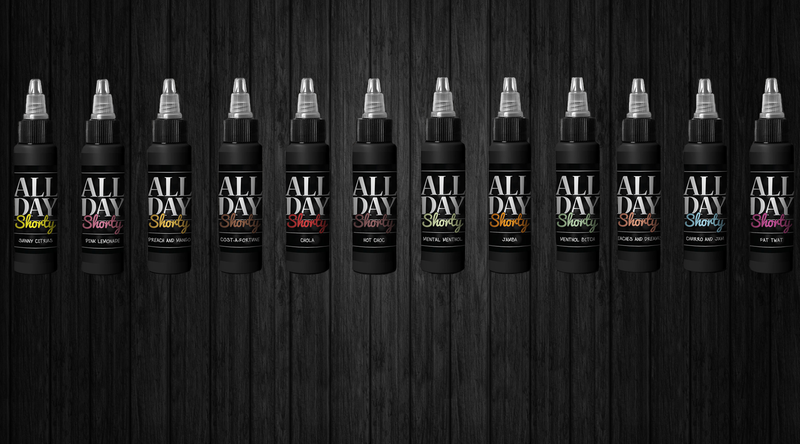 Introducing All Day Shorty's by El Diablo JuicesAll Day Shorty's are a range of great flavours at an all day, every day price of just £10 for 50ml.Great quality, great price - all day, everyday! All Day Shorty’s are a range of great flavours at an all day, every day price of just £10 for 50ml. Great quality, great price – all day, everyday!